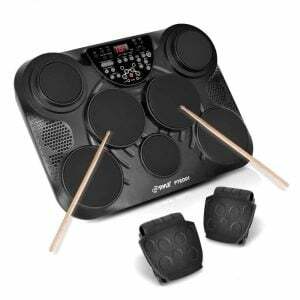 What Is The Best Electronic Drum Pad? The winner of the best electronic drum pad goes to the legendary Roland SPD-SX. This innovative pad is the ultimate percussive sampling instrument designed for you to get the most out of your drumming. The SPD-SX is a hugely popular piece of kit amongst modern drummers due to its multi-pad sampling capabilities. A drummer is able to strike individual pads to begin and end samples. The SPD-SX comes loaded with over 900 on-board percussion sounds. On-board is a huge 4GB of internal memory and three units of multi-effects with real-time control knobs and four dedicated effect buttons. This allows for you to add any samples you choose, all of which can be triggered from the various pads at your disposal. The SPD-SX has nine playable pads with two dual input sockets that also allow for four more external drum pads or triggers. Six of the pads are squares which take up the playable surface and three of the pads sit on the top edge and are struck with the drumstick shoulder. This electronic drum pad is so versatile it makes the perfect addition to any acoustic drum set, percussion setup, DJ rig, recording studio or dance club. There are lots of connectivity and sync options, and user-routable sound outputs, enabling ease of performance. Roland have designed and built a powerful, fun and dependable electric drum pad that has become such a hit with contemporary drummers. It features an intuitive display guide that is very user friendly, and the pads are super smooth and enjoyable to play. In second place we have the Alesis SamplePad Pro- a versatile multi-pad percussion instrument, which is a more affordable electric drum pad option for the modern drummer. This electronic drum pad features 8 fully responsive rubber pads with blue LED illumination that allow for endless percussive and sampling possibilities to explore. The pad is expandable to accommodate for 2 additional external drum pads or triggers. On-board there are over 200 individual percussion sounds loaded and you are able to use a 32GB SD card to store an additional 512 sounds. The Alesis SamplePad Pro is perfect for drummer’s looking to diversify their performance to suit a wider range of styles. In operation this pad is a lot of fun to play! The pads are thick and responsive, and the user interface is easy to navigate. There are good quality sounds on board also. It is incredible that this electronic drum pad supports sample playback from a standard SD card. This electronic drum pad provides a drummer with the tools to play pop, drum & bass, disco, folk, dance music, R&B and many more musical styles with ease. There are plenty of sync and connectivity options that make this product suitable for most live and studio applications. Overall this really is a fantastic value product, and delivers really high quality performance at a great price. It’s my top pick as the best electronic drum pad to suit all budgets. Up next on our list we have the Yamaha DTX Multi Electronic drum pad for review. This electric pad comes fully loaded with tons of samples. 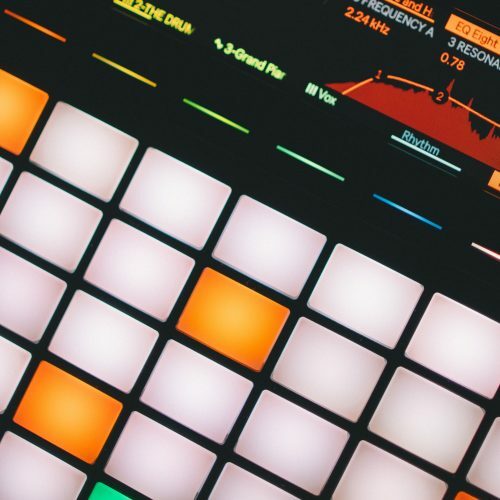 There are 1,061 drum samples and 216 keyboard samples built in. This electric drum pad has 12 velocity sensitive rubber pads that are thick and responsive. A great feature about the pads is that they respond well to being played with hands and fingers also for a live percussion inspired performance. This electronic drum pad is perfect for a hand percussionist looking to play full palette of percussion sounds within a single self-contained unit. The enormous number of sounds within this unit makes this a really versatile piece of equipment. As well as having 12 individual highly responsive pads, this electric drum pad can accommodate for 5 additional drum pads or triggers with its extra inputs. This means that you even have the ability to make an electronic drum set from these additional pads. This electronic drum pad does have a lot to offer with its large number of on board samples and its ability to easily expand with additional trigger inputs. However, it does have a small on board memory when compared to the Alesis SamplePad Pro and the Roland SPD-SX. I do also find the menu to be a little bit difficult to navigate compared to the other two electronic pads previously reviewed. Here we have another Roland product, and this percussion pad has been around for a long time. Roland developed the original Octapad in 1985 and for it’s time it was revolutionary. It has since been updated to feature modern connectivity and sync options along with additional sounds and the latest triggering technology in a single roadworthy self-contained unit. The main flaw I have with this electric drum pad, along with many other drummers, is its inability for you to import samples onto it. You are restricted to its 50 drum kits and additional percussion sounds. So with that being said, it doesn’t compete with its Roland brother, the SPD-SX in terms of versatility. With that being said, it does feature a large catalogue of on board sounds, as well as a very wide range of percussive sounds for you to explore. But you are unable to load your own samples onto this pad. This is a big flaw for this product, because modern live performances often demand for unique samples to be layered within a set, whether its additional layers from a song or effects that appear on a record. A professional live performance often demands a drummer to utilize bespoke samples. In operation with the on-board sounds the Roland Octapad Electronic Drum Pad has to offer, it is very smooth and the pads have a fantastic playing response. They are sensitive and feel good to play. The whole unit is road-tough and feels high quality. This electronic drum pad is a great option if you want a large number of versatile drum sounds in a very well made unit, but not if you plan on using bespoke samples for live performances with a band or artist. Up next we have a very affordable entry-level product to the electronic drum pad category. This product is designed to do the job on a budget and with minimal hassle. This percussion pad is compact which makes it perfect for travelling with and setting up. It features 50 drum and percussion sounds to be played with the 4 pads, which are velocity sensitive. This pad is straightforward to use and easy to program the sounds you want onto the four pads you have available. You are also able to adjust the volume of each individual pad if you choose to do so, as well as the reverb and sensitivity. One issue I have with this electric drum pad is the size of the pads. They do offer a pretty good response but they are very small and close to each other, so it is easy to accidentally hit the wrong ones when playing fast rhythmic patterns. Overall this is a very affordable electronic drum pad that is surprisingly functional, and has a lot of sounds to choose from. I like that you are able to adjust the levels of each individual assignable sample, and the quality of the sounds are actually not that bad. It features USB and MIDI connectivity as well as having stereo outputs for live performances. Electronic drum pads are commonly known as “sample pads”. They are extremely versatile additions to a drummer’s arsenal, and are used to add expressive and dynamic new layers to music. They are also suitable for a wide range of musical genres. Electronic drum pads are commonly utilized in pop music; where a drummer is required to play electronic drums live. 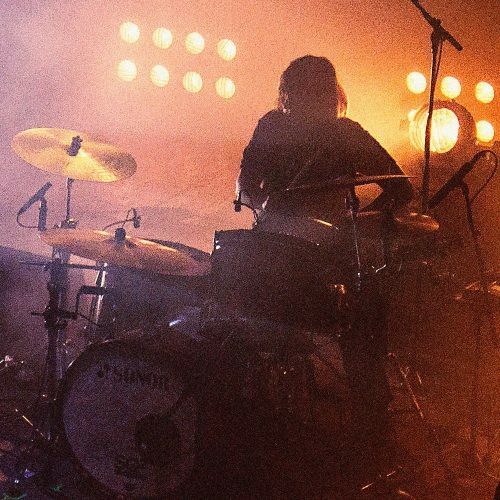 This is essentially known as a hybrid setup- where a drummer combines an acoustic drum set and cymbals with an electronic drum pad to explore a wider variety of sounds. Drummers are also able to take advance of the advanced onboard functionality within an electronic sample pad. These features include extensive onboard loops and effects that truly expand a drummer’s live performance capabilities. There is another type of electronic drum pad that I did not feature on my list. These are cheap, low cost products that imitate playing a drum set. These are essentially toys and are not used by any serious drummers. Although their price may be attractive, they are lifeless and awkward to play. I strongly advise beginners to avoid these products and to invest a little more money into an entry-level electronic drum set. What Is The Purpose Of An Electronic Drum Pad? Modern music demands more from a drummer. 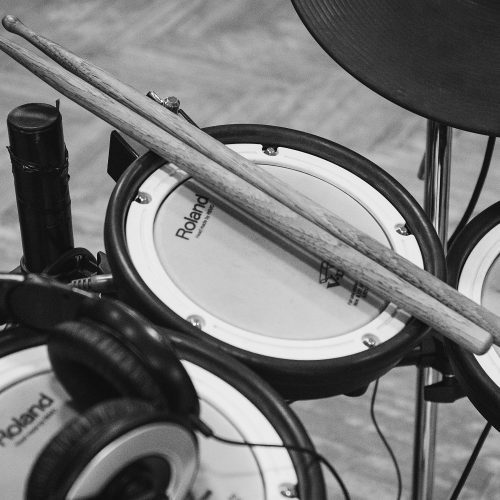 The drummer is required to replicate the sounds used on a record, and in popular music a lot of these are electronic samples. Sample pads are fantastic tools for the modern drummer, providing the opportunity for drummers to load individual samples onto the pads and to play them live to play the music just like it is heard on the album. This is important for music listeners, who identify with the songs as they listen to them on the record. Music listeners want to hear an authentic live performance. Sample pads have made it easier than ever for drummers to utilize hybrid setups live on stage involving acoustic drums, cymbals, sample pads and external triggers. 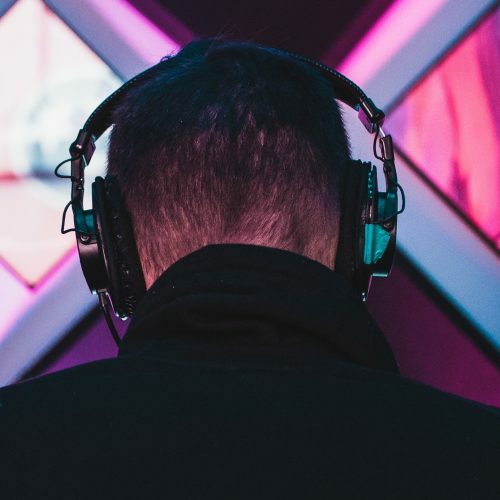 They make it possible for drummers to utilize infinite sound possibilities and thus can play a diverse range of musical styles, to suit the atmosphere of the artist and to accurately play what is heard on the record. The best electronic drum pads can accommodate for external trigger inputs, which is incredibly easy and practical for live drummers playing in large venues. Triggers allow for an authentic and realistic live performance, with the nuances and lifelike playing of a real drummer, combined with the consistency and unmistakable electronic drum sound replication. Do I Need An Electronic Drum Pad? If you’re just starting out playing the drums, the answer is no. An electronic drum pad is a useful piece of equipment, but it’s designed for drummers looking to expand their existing setup. If you’re a drummer who wants to play lots of different styles of music, and with lots of different artist, then you will definitely want to invest in an electronic drum pad. How Do I Mount An Electronic Drum Pad? Manufacturers will generally offer an attachment product that will allow you to mount an electronic drum pad to a stand with a clamp. Alternatively you should be able to cradle a sample pad inside a snare stand basket, but this might not be as effective or secure.